With rising competition between schools in both private and public spheres, it’s becoming crucial to stand out from the crowd. That’s why many schools are creating marketing plans to revamp their websites, boost enrollment, raise funds, increase donations, design after-school or summer programs, keep parents in the loop and more. You might think all of this would require fancy software or design skills, but it’s easier than that if you’ve got the right tools at hand. It can also be affordable, if not completely free, to use these resources. Let’s take a look at ten ways to spread the word about your school. You need to know where you’re going before you take the first step, and it helps to spell things out in both visual and verbal form. Identify the marketing goals that have been assigned to you, prioritize projects and tasks, and lay them out in a way you can refer to later. Common marketing goals might be to clarify your school’s brand, boost enrollment, increase funding, earn invitations to conferences, improve the quality of your teaching, enhance your school’s online visibility, and collaborate on projects with the local community. School marketing might seem beyond your realm of expertise, but as long as you set concrete, achievable goals and prioritize them in order of urgency, you’ll find that the process can come quite naturally. Making this process more visible is an essential first step. Try out this Vision and strategy flow chart and see where the brainstorming takes you. You can create a team in your Canva dashboard and share your concept design with fellow educators and school staff. Once you’ve got a few project ideas in the works, consider how you’re going to take measurable action and create a game plan that includes those concrete goals and guidelines. Common marketing strategies include affiliate marketing, flash promotions, awareness program initiatives, summer school programs, parent advocacy groups, and outreach efforts. Collaboration is essential to good marketing, so don’t assume you’ve got to shoulder each project by yourself. Get other teachers on board and make it clear to them how marketing efforts will help their cause as well. For example, if you’re trying to raise awareness about a summer reading program, get other teachers involved and ask them to help spread the word. Shoot for cross-fertilization of subjects as well: ask the science instructor to get students--and their peers from other communities--interested in summer reading too, as it will help them better understand the scientific texts they read. Here’s a great Three-column table concept map to use for your outlines. Did you actually accomplish your marketing goals, or are you on a clear path to do so? Your administrators will likely have their own progress reporting strategy, but you can also keep track of projects that have been assigned to you with your own records. Visualizing progress is just as important as visualizing goals and strategies. Encourage fellow staff to hold one another accountable by holding regular meetings and swapping status reports. Don’t be afraid to request feedback from your colleagues part-way through a project and adjust strategies that may not be working as well as you’d hoped. One of Canva’s best features is that every design you create can be shared and edited by a team, so keeping documents organized and accessible is easy. Best of all, your flow charts, strategy tables, and status reports will all be in one place in your dashboard so that you can reflect on the process and make improvements for the next school year. Use this Yellow and white table project status report to track your progress. You might think website development and maintenance is only for the tech-oriented teachers at your school, but a little bit of design savvy goes a long way. Even though using Canva will help you refine your skills, you don’t need to have an “eye for design” to create an aesthetically pleasing web page. Choose from one of Canva’s ready-made templates to spruce up your site or easily create your own. Every page of your site can benefit: add a header to your home page, images to your blog posts, icons to your contact page, photo collages to your events page, illustrations to your announcements, and more. More people will visit your site if it’s aesthetically pleasing and user-friendly. Make sure the elements of style that go into the site’s appearance are cohesive, and that the various functions of the site can be easily navigated by users. For instance, people should enjoy spending time on the site and want to explore various sections and pages; it should be obvious how to sign up for more information (e.g. a newsletter) if they want to; and there should be a call-to-action of some kind on most pages, whether it’s a “Read More” button or a “Sign Up Now” prompt. The goal is to get more students to enroll. Draw inspiration from this Development course graphic. Try out your new look in Canva’s presentation mode, which allows you to view your work as a series of slides with a unique and shareable URL. People still respond to old-fashioned print brochures. They have the same personal, tactile appeal that people prefer in print books over e-books. Since print isn’t going away any time soon, work it into your marketing strategy by creating beautiful flyers or brochures to showcase your school’s best assets. Since space is usually limited to six sides including front and back, you’ll need to be as intentional and concise as possible. Choose bright, cheerful, high quality images and engaging text that gives readers a clear idea of your school’s core values, relationship with students and parents, and any accolades or recognition that reflect important academic milestones. Be sure, also, to include a contact section and a call-to-action that urges viewers to get in touch or submit an application. It should be visible and clear enough that it’s easy for readers to make the leap from print to online info-gathering. You can create attractive and informative brochure designs in Canva with templates like this Pink photos college trifold brochure. Finding yourself in charge of your school’s social media campaign? No need to be deterred. 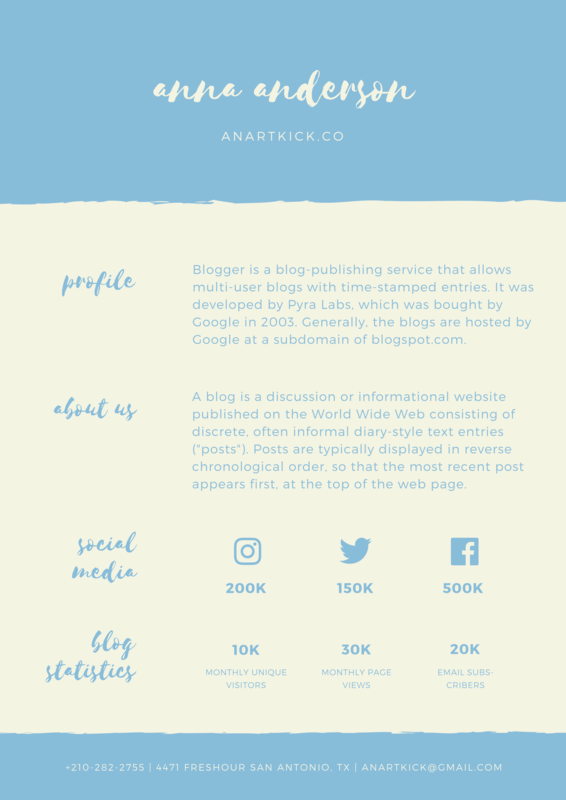 You can easily create a social media strategy and use Canva to make your posts more visual. Keep your Facebook, Twitter, Pinterest, and Instagram activity consistent and engaging with updates on the teaching and learning process, upcoming events, and inspiring quotes that reflect your school values. Provide links to your school website, Canva presentations, partnering company or featured educator’s blogs, and online portfolios of student work. To streamline the image creation process, you can design a bunch of classroom-themed icons to go with posts ahead of time--that way you can just pull from your store when you’re ready. Don’t forget to use automatized social media management tools like Hootsuite or TweetDeck to cut down on the manual work of regular posting. Here’s an inspiring Dark blue and orange college poster to get you rolling in the right direction. Can families, sponsors and donors, and other interested parties find all the information they need about your school in a single place? Consider creating a media kit for your school to share with your target audience. This is a good chance to express your school’s brand and garner participation from interested students and parents. The media kit can include photo collages of learning and teaching in action, examples of course syllabi, mission statements and school history, a staff directory, list of course offerings, community outreach projects, enrollment and standardized assessment statistics, annual events, and contact information. You’ll find it useful to have a physical resource to draw on when you tell interested parents and students about your school, and putting it together will force you to articulate your school’s best assets and be better prepared to talk about its selling points. 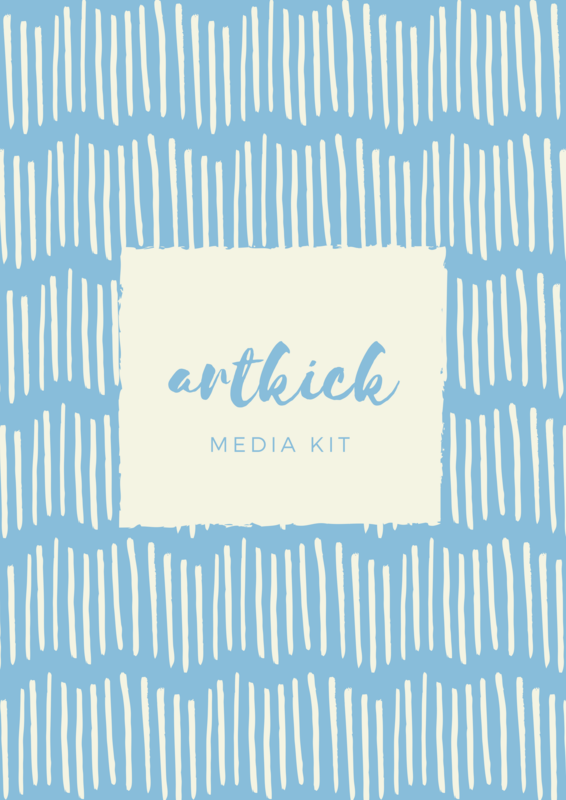 Try this Skyblue stripes art press media kit to get a feel for how you might put yours together. Email campaigns are alive and well--especially the ones marked by a little design savvy. If you’re asked to spearhead your school’s campaign, consider how you can combine form and function to boost readership and get people interested in learning more about your school. Once you know what kind of content will be included--e.g. course information, events and updates, articles and interviews--determine how you want to present it. Do you want to disclose your juiciest tidbits up front, or opt for the “slow reveal” which urges viewers to keep scrolling or click through to your site in order to read more? Extra tip: Friendly email headers make all the difference. Sure, you want an eye-catching subject line, but if viewers open up your email and don’t like the design, they’re unlikely to keep reading. Check out this Student council email header for inspiration. It’s simple, clean, and engaging. You may be asked to put together materials to spread the word in your community about upcoming events like open days, fundraisers, performances, and fairs. Tasks like this can be quick, fun, and easy if you’ve got the right tools at your disposal. Canva has announcement, poster, flyer, invitation, and social media post templates to advertise your school’s events. Create an original design in a few minutes and distribute it online or in print, then save your template for future advertising tasks. You can employ particular strategies like using your school colors, including photos from past events, and adding social media handles or links to your school web address. Draw inspiration from this Blue with confetti vintage classroom poster. The color scheme is cheerful, the message clear, and the print large enough to catch the eye of someone passing by in the halls of your school or walking past the bulletin board of the local community center, town hall, or market. Or try this Blue speech bubble Facebook post. Be sure to keep your designs consistent with your school’s brand, or at least not too far off in terms of color scheme, typography, tone, and message. Send a newsletter to parents interested in enrolling their children in your school so they get a good feel for your classroom and school environment. Include information on a wide range of subjects to provide readers with as full a perspective as possible. You can write about upcoming events, class projects, changes in school policy, highlights from school field trips, completed or ongoing projects, and views on teaching and learning from educators and students. Newsletters can be sent out to interested parents and students who have joined your email list, or you can have your web expert add a pop-up subscription box to your school website. You can also print out copies and distribute them at open days, conferences, and other events. Here’s a Simple colorful preschool school newsletter to give you an idea of what such a newsletter might look like. Becoming more involved in marketing at your school doesn’t have to mean a significant increase in your workload. There are tools to streamline the process and allow you the creative freedom to keep it fresh and fun. Best of all, you can save all the materials you design in your Canva account dashboard and reuse them throughout the term, or from one school year to the next. When you have pride in your school, it will come through in your work; and when you have pride in your work, it will come through in the way you talk about your school. Let it happen naturally by keeping the right resources at your fingertips.